Beach view. 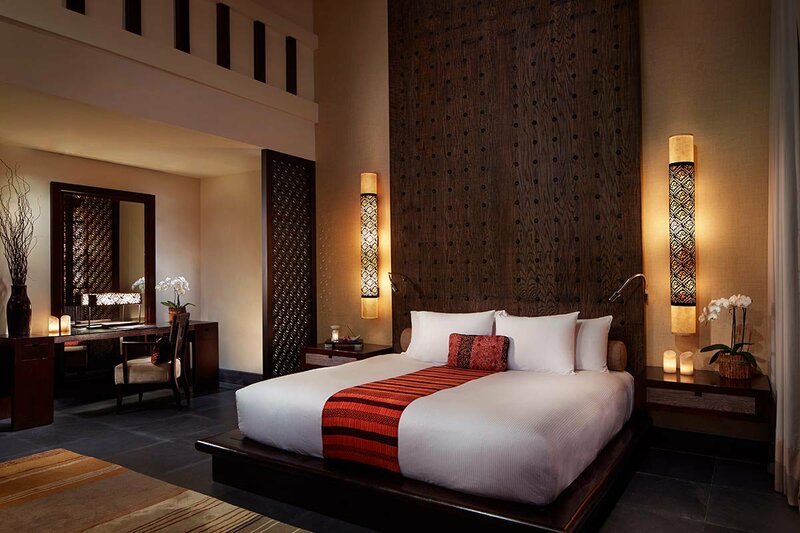 All photos courtesy of Banyan Tree Mayakoba. 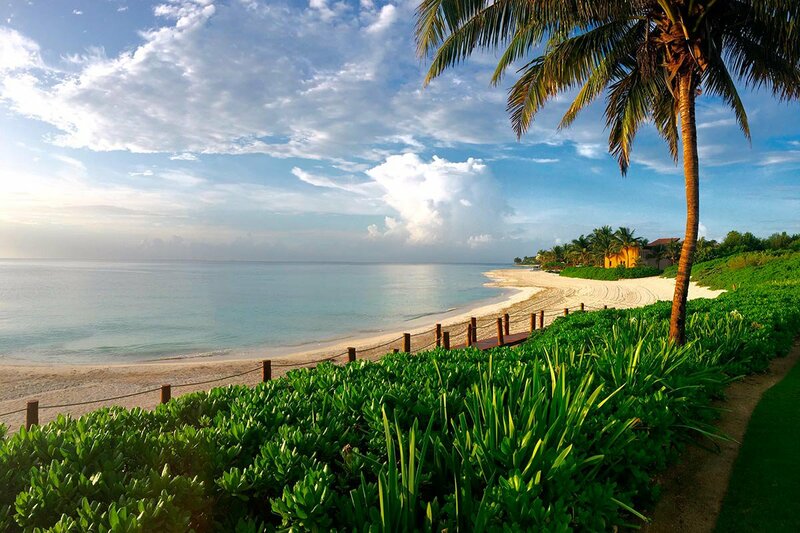 RIVIERA MAYA, Mexico — In the language of the ancient Maya people, "mayakoba" means "village over the water." 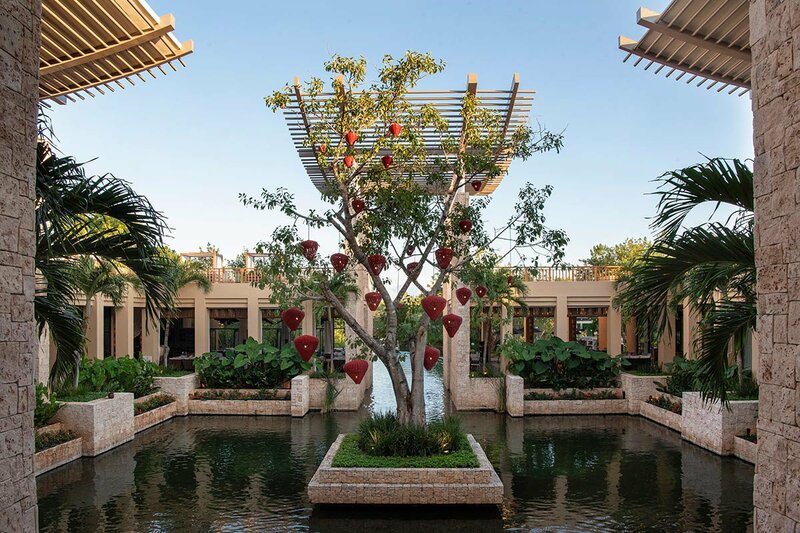 In the language of the modern luxury traveler, "Mayakoba" means "a multi-resort complex along a clear-blue stretch of the Caribbean where jungle meets rain forest meets sea that's home to the ultra-luxurious Banyan Tree Mayakoba." 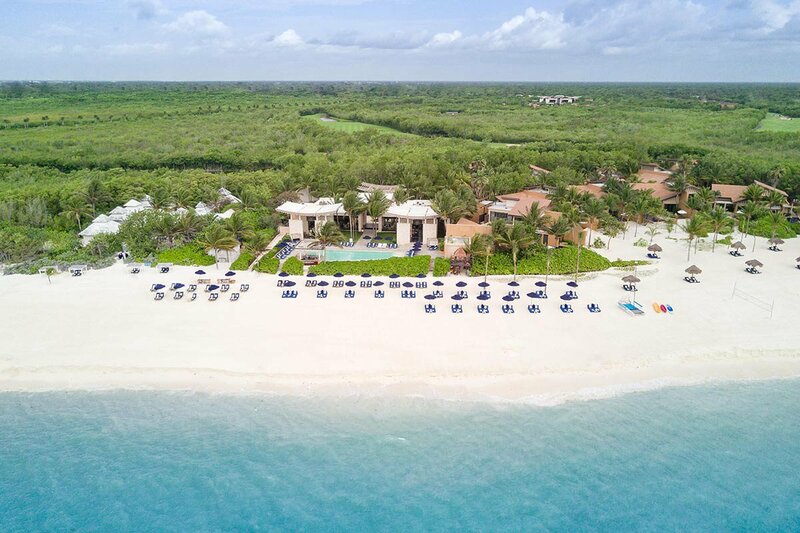 Banyan Tree Mayakoba will celebrate their tenth anniversary this season, and as part of the festivities, they're sending one lucky Fathom reader to experience it firsthand. Do you want to be that lucky person? 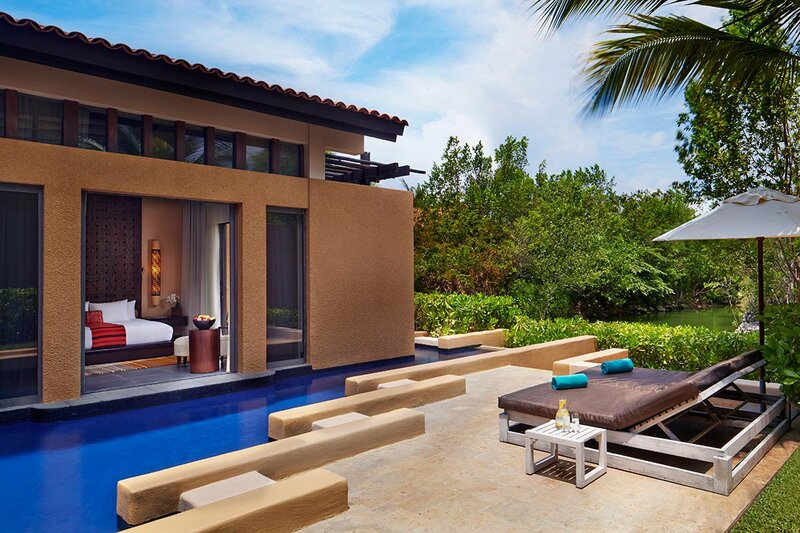 Then head over to our Instagram account, tag your friends and follow @FathomWaytoGo and @BanyanTreeMayakoba. 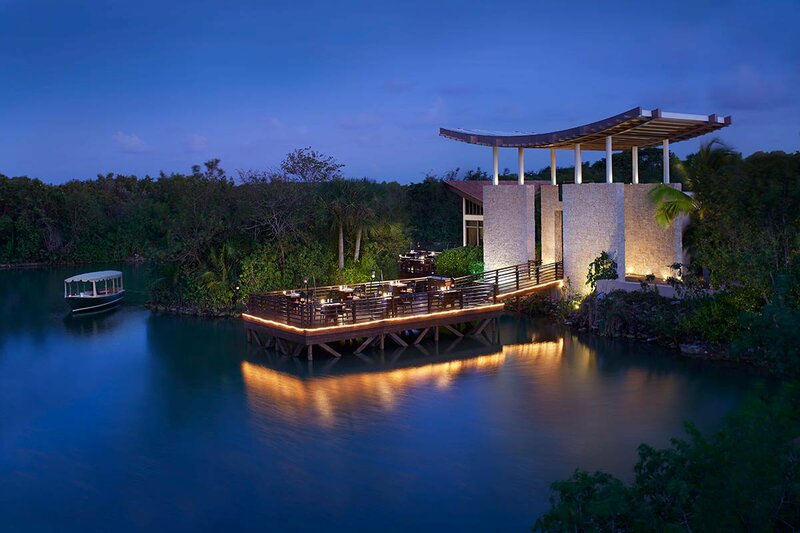 Hop on the bikes that the hotel provides and cruise throughout the whole Mayakoba property. 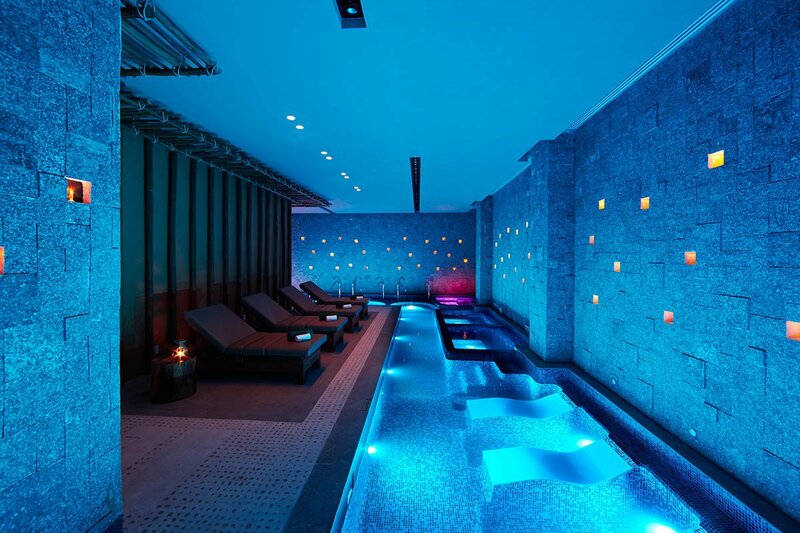 Jump into the private, massive outdoor pool right outside your bedroom. 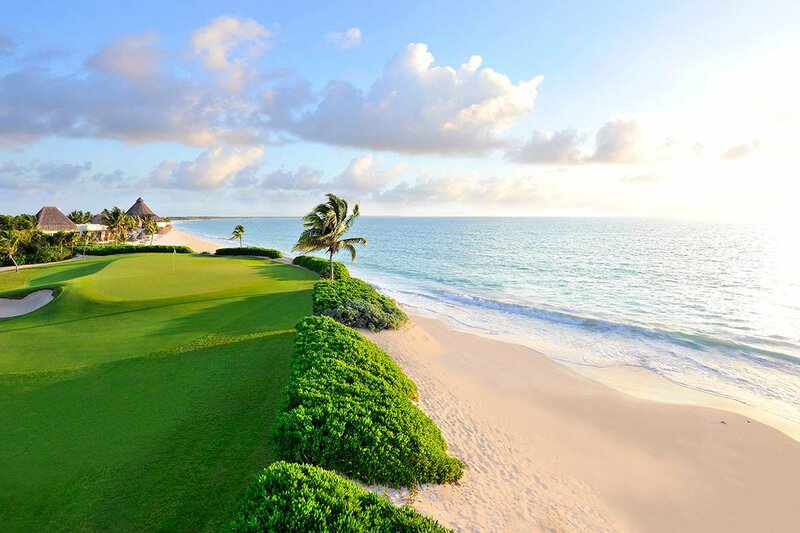 Practice your swing at the 18-hole golf course along the beach. Rainforest vitality pool at the spa. 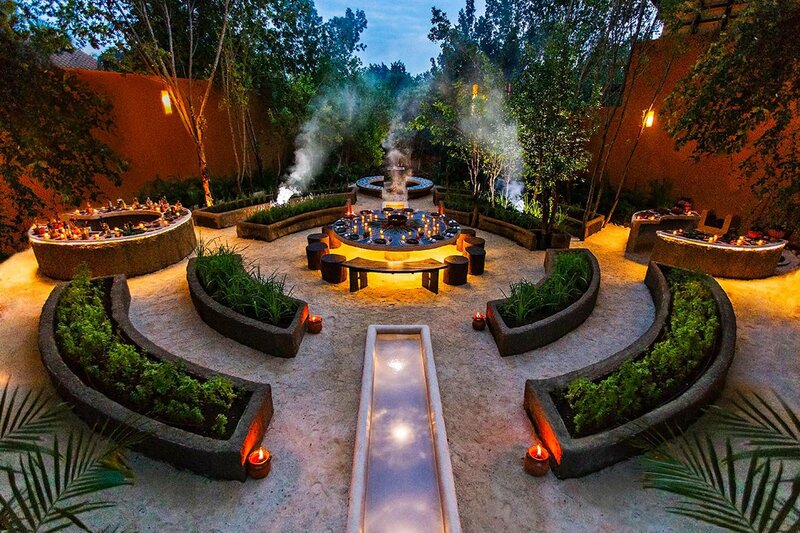 HAAB Mayan outdoor dining experience. Slide into a kayak — either solo or on a tour — and cruise those beautiful blue waters. Dive into the ancient Mayan cenote, a sunken natural pool, located right on the property. 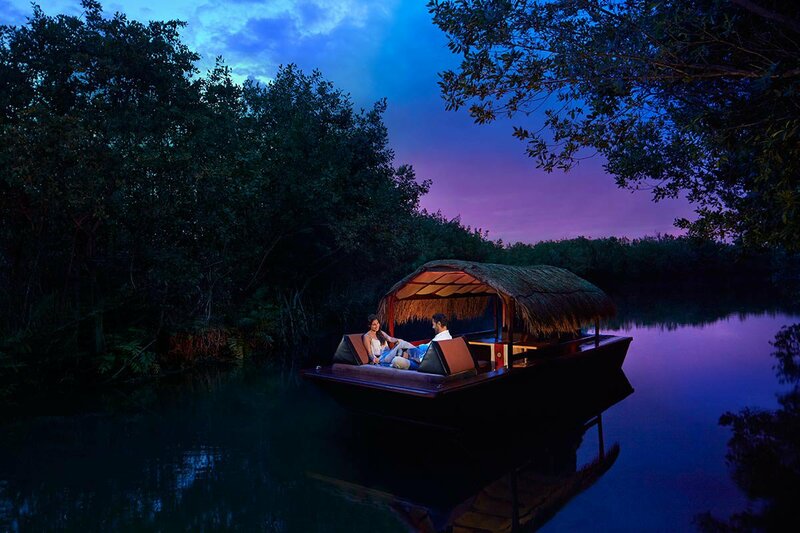 Explore the canals and mangroves at night on a romantic trajinera boat. 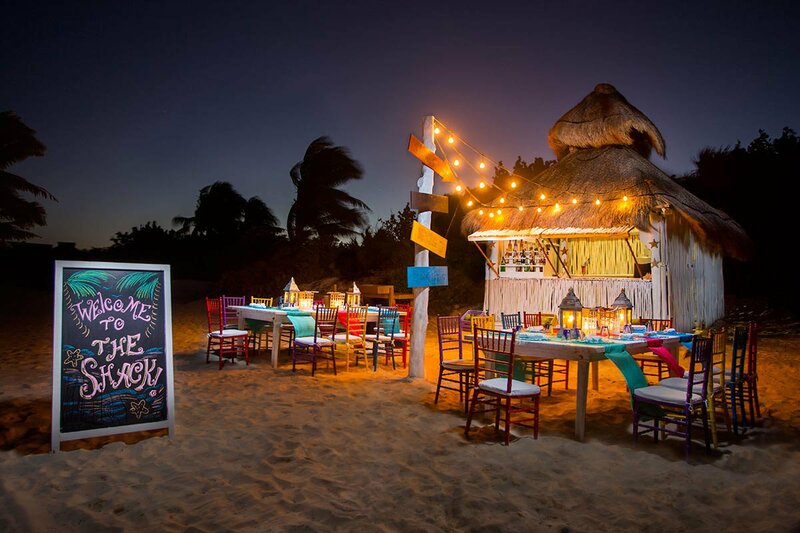 Take your pick from a dozen dining options on the beach and in the mangroves. The coolest sounds like Haab', an interactive experience based on the four sacred elements of fire, earth, air, and water. Guests are led into the jungle by Mayan warriors wearing feather headdresses and carrying torches who then tell stories of the Ancient Maya people and their culinary customs and history. After a sundown ritual, guests help prepare the traditional Maya meal. Dinner, with a side of culture.